After the presentation, we’ll have a brief Q&A session with Dr. Abi-Gerges. Reserve your seat today by completing the sign-up form to the right and clicking the “Submit” button. 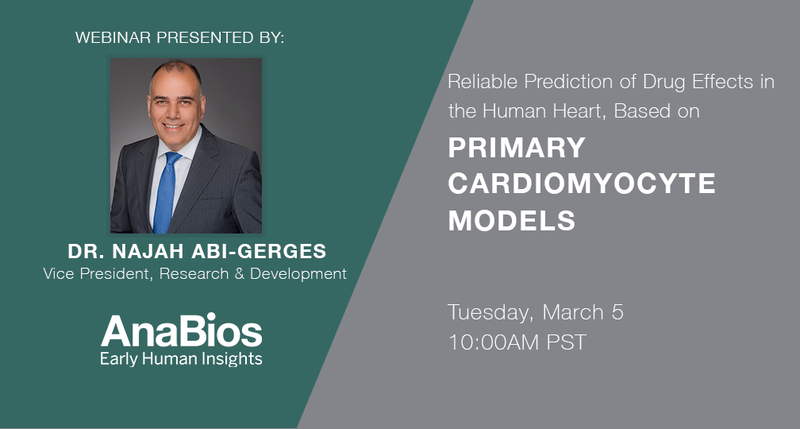 Reserve for your seat for AnaBios’ upcoming webinar, “Reliable Prediction of Drug Effects in the Human Heart Based on Primary Cardiomyocyte Models,” presented by Vice President of Research & Development Dr. Najah Abi-Gerges. Please complete the form below and click the “Submit” button. You will receive an email with important information about the information at the email address provided below.